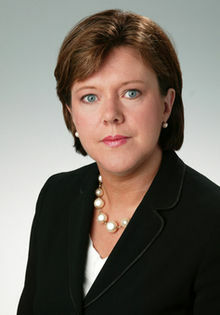 Maria Miller, the UK Minister for Culture, used a figure of speech so rare and beautifully powerful that it is seldom encountered outside the Old Testament. To speak directly into the minds of her opponents she used Epanodos; blending logic and emotion in a way guaranteed to be heard and heeded across the most passionate of debates. The Roman writer Quintilian described figures of speech as being like jewels. 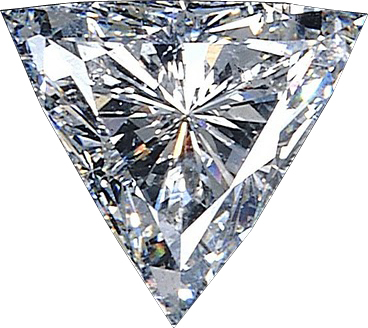 We place them within our speaking so that important ideas will catch the ear as fine gems catch the eye. Figures are word patterns that vary in some way from standard spoken language. Quintilian thought of them as jewels in a treasure chest. I think of them as spells in a book of magic. They do, after all, rely on knowing just the right patterns of words. And when the correct spell is used, the audience is moved. Sometimes magically. This week the British Parliament passed new laws to bring full marriage equality to the United Kingdom. While the vote was overwhelmingly approved, a small minority of lawmakers had strong reservations, and the pre-vote debate, led by Ms. Miller, was heated. As I listened to the debate, the following phrase from Ms. Miller’s speech leapt out at me. “Equal marriage should not come at the cost of freedom of faith, nor freedom of faith come at the cost of equal marriage. Epanodos involves elements of a sentence being repeated, but in reverse order. The second half of the sentence will be almost a mirror image of the first, and as with all things seen in a looking glass, that second portion will appear magically reversed. Listening to the debate news coverage throughout the day, I heard that phrase repeated time after time across multiple news networks. Like one of Quintilian’s jewels, this one phrase had become the single most glittering section of the debate, and had caught the ear of every professional commentator. The key to using figures successfully is to choose the right spell for the right occasion. So why would the Minister have chosen this one? Epanodos stands out, whereas as most figures are far less showy. It is also incredibly rare in political speeches, but vaguely familiar to those who know their bibles. This figure therefore takes the Minister’s key message about marriage equality, and codes that message to chime particularly strongly for lawmakers familiar with bible passages. In other words, the exact same lawmakers who needed special reassurance during the debate. The Minister’s choice of the rare Epanodos figure couldn’t have been better. You can use Epanodos in your own presentations. The trick is to use it very sparingly. Just once. This is a figure that stands out, and if overused will look as garish as a bling bracelet packed with paste jewels. Used just once though, it will shine like a cut diamond. Enjoy playing with Epanodos. With the combined qualities of logic and poetic elegance, it will make your key message leap out from your presentation. And thank you to Ms. Miller, not just for championing equality, but also for your powerful choice of words. When we make a presentation we occupy the space defined by Peter Drucker as that of a “Knowledge Worker”, someone who “works primarily with information”. Our goal is to inform and persuade. Information is the bedrock of our ability to do that. It’s essential that as presenters we continually feed the mind in the same way we would feed the body. To achieve this requires a broader awareness of our subject than merely the facts behind the case. Although important foundations, facts alone seldom achieve a winning presentation. The important knowledge, that is often neglected, is about the wider world around the product or cause; information that brings color and interest. Mainstream media once provided a rich source but today, chasing the quickest buck at the lowest cost, most media outlets offer a diet of celebrity-drenched trivia. To be a successful presenter requires us to take control of knowledge-gathering to maintain our information libraries. What outlets do you actively follow in order to keep your mind fed? The internet, and the fast developing channels of Social Media, are the most incredible source of quality information if you seek it out. Whatever your subject might be, there will be specialist news outlets, e-zines, interest groups, bloggers, and information aggregators. Let’s not forget Twitter. It can take a while to master, but well managed Twitter lists of quality Tweeters can rapidly become an incredible data source. Make it your mission to find new quality information sources every month and then follow those sources to see where they lead you. Knowledge is power. It’s also depth, color, interest, and background, all of which we need to be able to call upon if we are to inspire our audiences. In his copywriting and direct marketing blog, Dien Rieck points out an important point to keep in mind when presenting. Customers are there to hear you present about your product, not about someone else’s. Attacking competitors comes across as arrogant and unethical, and frequently leads to bite-backs from the audience. So, how to bring across your product’s advantages over “Brand X” if you can’t mention them by name? How is my product better than the competitor? Where is the competitor better than me? Ensure that every point within the presentation points to your strengths in ways that make them truly standout for the audience. Link the strengths to the customer’s needs and demonstrate them clearly. If that strength also happens to be one of your differential advantages, put it front and center of the presentation. If there are known weaknesses in your product that you feel your competitor might seek to exploit, then your task is to counter-balance them. Let’s take a mobile phone as an example. Maybe your competitor has a significantly bigger screen than you do, and you believe that this might be where they pitch their presentation; all the lovely apps and toys that the customer could run. What are the counter-measures for this? One could be the ungainly weight and size of their product due to that larger screen. The competitor will also most probably suffer from a reduced battery life, unless of course the bigger panel is accompanied by a bigger battery, which equals even more bulk and weight! If this is the case, make sure you have sections in your presentation that deal with how essential a long battery life is for the mobile user. Without long-battery life you are forced to carry extra power chords or batteries, adding even more to size and weight. Paint a vivid picture of how your product allows the mobile user to have an easy life on the road, not having to worry about re-charging and with a product perfectly designed to sit easily in the pocket. Do a good job, and the customer will value your benefit of long battery life and easy mobility, thereby discounting the advantage of your competitor. By using powerful positives to position your products strengths, and then well chosen counter-measures to offset it’s weaknesses, you can create a highly targeted competitive presentation, without once mentioning the competition! Bob Dylan will help your presentations come to life. In fact not just Dylan; whether your genre is rock, soul, country, or blues, you can have fun with a presentation by slipping in the odd line of lyrics from your favorite song. Firstly, to bring personal pleasure to your presentation. If you’re enjoying the session, then your audience will enjoy it too. Embedding the occasional song lyric, an aside that is meant for you alone, will quietly spike your energy and keep you upbeat. Secondly, it helps with nerves. The pre-planned song lyric, chosen because you like it and can fit it into your narrative, acts like a pin to pop the bubble of any internal tension that has built up while you are talking. Finally, in terms of their prose quality, song lyrics represent a highway of diamonds we can borrow at leisure, adding dimensions of rhetoric to presentations. They are a ready-made source of inspiration. In the classroom, I suggest to teams that they incorporate such lyrics into their presentations. Despite initially believing that the trainer has lost his mind, everyone soon discovers what an effective technique this is to bring pleasure to presenting. What is my key message? What song title or lyric do I want to include? How can I drop that lyric seamlessly into my presentation in such a way that it fits with the message without drawing attention to itself? Surprisingly high-calibre speakers often practice this art; Supreme Court Justices for example! According to a recent article on the NPR show “All Things Considered”, Dylan lyrics have found their way into no less than 186 court rulings. Even the supremely straight-laced Antonin Scalia has been known to drop the occasional Dylanism! You can find the full NPR article by following this link, and maybe also, somewhere in this blog, you might even find my own gem of Dylan. Presenting ideas, or inspiring confusion? I opened a Twitter account in order to have access to the random thoughts of one of my favorite authors, Christopher Moore. His humor makes the dullest journeys enjoyable, and if you find yourself in a bookstore pre-flight I would especially recommend “The Lust Lizard of Melancholy Cove” to all business travellers. Moore is a great communicator not just on the printed page, but with his fans, and I recently saw a Tweet concerning an interview Moore gave to the “Ink and Page” blog. In response to a question about his use of social media, Moore suggests a new test that I think should be applied to all presentations. We’ll call it “Moore’s Law of Attention Deficit Disorder”. Is your presentation constructed to “promote ADD, rather than an exchange of ideas”? Within training classes I talk about the guiding principal of “Never under-estimate the ability of your audience to completely miss the point.” Moore’s Law of Attention Deficit Disorder describes perfectly what causes the phenomena; we hit audiences with way too much information! Every presentation should contain a key message; a single idea that holds everything together and provides narrative structure. If the audience is not to become the victim of an acute ADD, it’s essential to prune the presentation. Cut, cut, cut, and then cut some more. Anything not directly connected to the key message has got to go! At the end of the interview Moore provides golden guidance for all presenters. It’s contained in the penultimate line, in speech marks. I’ll leave you to read it for yourself, along with hopefully that excellent novel about the Lust Lizard. To understand the mechanics of any successful speech, you must always read it. By reviewing the printed page, you see the ingenious word workings that give the speech its power. These opening words announced the death of Osama Bin Laden. They initially slip past you until you read the script. President Obama deliberately chose to approach his audience with the simplest humility; when we “report to” someone, we work for them. When we “report for duty”, we present our service. Contrast this opening to a flight-suit clad George W. Bush astride a battle-cruiser with a banner screaming “Mission Accomplished”, and the full style difference will become all the more apparent. Your opening words in any speech or presentation will set the tone for everything that is to follow. They will provide the springboard for your key message, and in Obama’s presentation, that key message was not “victory over terror” as might have been expected, but “unity in the face of terror”. In the first two minutes of the speech, the word unity, or synonyms for unity were mentioned 20 times. In the final two minutes, again, there were a further 20 repetitions. Within every great speech, there is a key message, and that key message must be carefully chosen with the audience in mind. For Obama’s audiences, both domestic and global, in the defining moment of Sunday May 1st, 2011, no finer message could have been chosen than that of “unity”. The Roman orator Quintilian, once wrote that great speeches place a “hidden dart” into the mind of the audience, and that the message encoded in that dart will remain long after the speech itself may have been forgotten. In his speech announcing the death of Osama Bin Laden, President Barack Obama sought to use the power of oratory to not only announce the death of a terrorist, but to use that power to further advance the death of the terrorist’s cause.